Whelp, I've been tempted by another war game and this it's Warmachine from Privateer Press. Now you might be saying "But Scott, weren't you also gung ho about 40k Skitarii and Bolt Action Americans? What happened there? 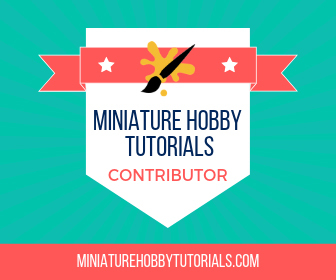 What makes this I'm starting a new army post different"? Well, unlike 40k and Bolt Action, I actually have a group to play Warmachine with and that is the key ingredient of wargaming right there. 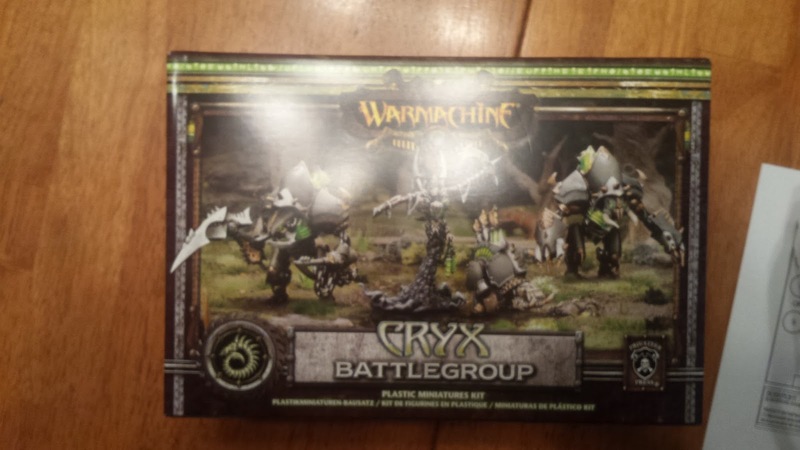 An old buddy of mine, the same one who I'm doing the Circle Oroboros commission work for, invited me to join their group of Warmachine and Hordes players. From the sounds of it they play at least once a week too and games range from starter box size games to larger ones, I think. I've yet to join in. Now, this isn't the first time I've been tempted by Privateer Press' games. Roughly 5 or 6 years ago my cousins and I each bought into Hordes, Warmachine's sister game. I picked Circle, because I liked the look of the models the most, but I also really liked some of the Warmachince factions. In the end, to keep things simple we all stayed with Hordes factions, so we weren't learning how both games interacted with each other. I actually posted pics of my painted Circle Oroboros starter set awhile back too. Another thing that got me interested in Warmachine and Hordes again was the fact that a new rules set just released. I was able to get my hands on the rules PDF and really liked what I read. Not saying that I'm dumb. But, I don't know if I've just gotten better at paying attention to things in rule books, or if they made things simpler, but I was able to grasp the rules a lot easier this time around. I've always had a rough time reading text books, cause I've found them boring. I'm a hands on learner for sure, which is why I always run through board games once or twice by myself to learn the rules. Having been hooked and purchased my ticket for the hype train, I started looking at my Circle models and deciding if I wanted to continue on with them or try something different. I eventually decided that I wanted to go the sci-fi route and solidified the choice to go with Warmachine factions over Hordes again. Looking at the Warmachine factions, I took in each faction as a whole, from their Warcasters and Warjacks to their individual characters and units.Then I remembered I was really interested in Cryx when we were first looking over things for Hordes. 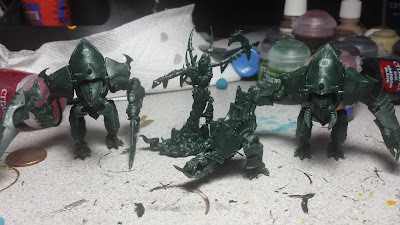 That said, I now have the beginnings of a Cryx army! So far, I have a few models. I picked up the previous starter pack and I also grabbed the new MK3 starter pack. I also picked up Deneghra the Soul Weaver and plan on doing extensive modifications to her before she sees the table. My first game is tonight, using the MK3 starter box. After that, we'll see how far this necromantic rabbit hole goes. WIP: Krueger and Warpwolf Stalker Finished! WIP: Kromac Finished, Kreuger Started!